Dr. Angelica Farrell is passionate and caring in everything that she does. She desires to help as many people in the Santa Rosa, Rohnert Park Area as she can through chiropractic care. Dr. Farrell was born in Hollywood, California. 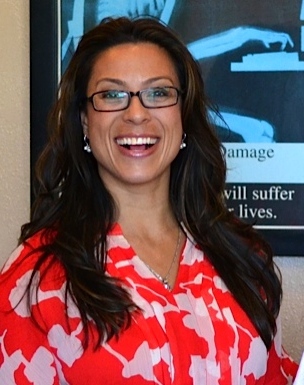 She completed her pre-chiropractic education from Palmer College and San Bernadino Valley College before graduating from Palmer College of Chiropractic West in 2000, where she received her Doctor of Chiropractic (D.C.) Degree. Dr. Farrell constantly strives to improve and update her knowledge in the field of chiropractic and has completed several post-graduate studies in the field of Spinal Cord Injury, Allergy Treatment, Whiplash, Back Pains and many other issues relating to the Spine. "Whiplash and back injuries are unique in that all too often patients consult me only after they have been improperly treated or totally neglected for years." Between her love of chiropractic and her love of serving humanity, Dr. Farrell is active in promoting health and happiness. However, Dr. Farrell will gladly share with everyone that the true joy of her practice is the large base of families that come for wellness care.